Don’t know what to do in case of cat swallowing a lot, do you? Is this issue much serious? Read up on to a have deep insight into this problem. Has your lovely kitty ever had trouble cat swallowing a lot? If yet, that may be a sign of the underlying health issue, from a classic condition of nausea to a medical case such as dysphagia. This needs to be treated as soon as possible. Why? If left untreated, your pet may begin to lose its weight or meet other health conditions quickly. By the way, do you know much about this cat’s health condition as well as the way to treat it when it happens your poor pet? If not, don’t hesitate to consult our post to know more essential things about this common issue in cats and how to resolve it effectively. In some mild cases, overexaggerated swallowing in cats may signify nausea. Right before your poor kitty throws up, it may have some precursor symptoms such as lip licking or severe drooling. Whether the cat is about to throw up because of a sudden change in its daily diet or a certain condition like pancreatitis, swallowing a lot may precede it. In other medical cases, your cat’s problematic swallowing may be a possible result of the condition called dysphagia. Many overarching ailments may contribute to the swallowing as well. Dysphagia has many potentially diverse causes and some of which are serious, so it is crucial to treat it as early as possible if there are any overexaggerated swallowing actions. When you bring your cat into a vet, he or she will be able to find out the exact cause of your cat's overexaggerated swallowing. In this case, your pet may have to undergo some diagnostic testing such as X-rays, blood work, and urinalysis. Once he or she is capable of determining the root cause for the condition of cat swallowing a lot, you and your pet can get on track to eliminating or managing it later. How about the treatment of dysphagia? - Nutritional support plays an important role in this case: A vital change in food consistency, as well as the position of your cat during feeding, will be recommended in some certain cases. A feeding tube bypassed the cat’s mouth and throat can be indicated, for example, a stomach tube. Sometimes, parenteral feeding is indicated, which depends on the cat’s primary disease process. - Antibiotics can also be recommended to prevent bacterial infections. - Pay much attention to your cat's eating habits so as to resolve any diseases in time. - Administer the dietary recommendations or medications prescribed by the veterinarian. In case your cat doesn’t get better or there are any additional clinical signs, contact the veterinarian soon. - Make sure to bring your pet in for a follow-up so the veterinarian can check and ensure everything is correctly healing. - Pay attention to consistent nursing care at home with the appropriate therapy. 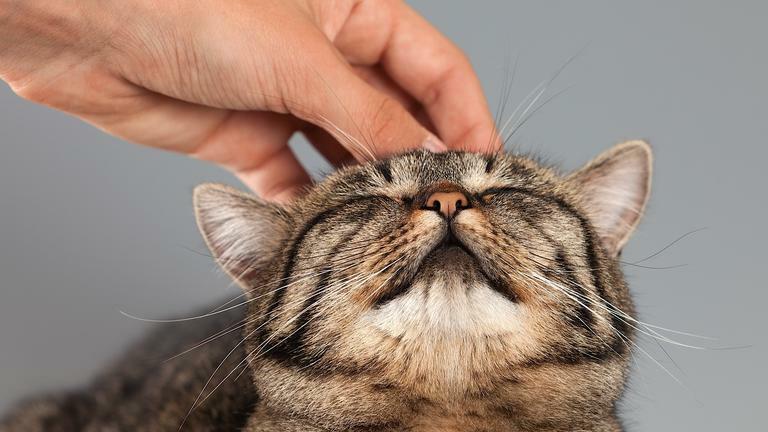 It is very important to your cat’s recovery after the medical treatment. - Make your cat’s eating easier. You can ask your vet the way to make your pet more comfortable and help it to keep food down. - Don’t forget to keep your pet at good body weight and provide it with nutritional supplements, especially when it undergoes treatment. Well, as you can see, frequent cats' exaggerated swallowing with or without lip licking is a worth-noticing clinical sign. If you are currently an owner of a kitty, don’t miss this health issue in cats. And after consulting our article, you may get some essential knowledge and information about the condition of cat swallowing a lot as well as how to treat effectively. If you have any concerns or questions, don’t hesitate to comment them below. Our team will make all attempt to help you as soon as possible. Thanks for reading!